NordVPN is a service from Tefinkom co S.A, a company based in Panama and that is specialized in providing web hosting and dedicated servers. 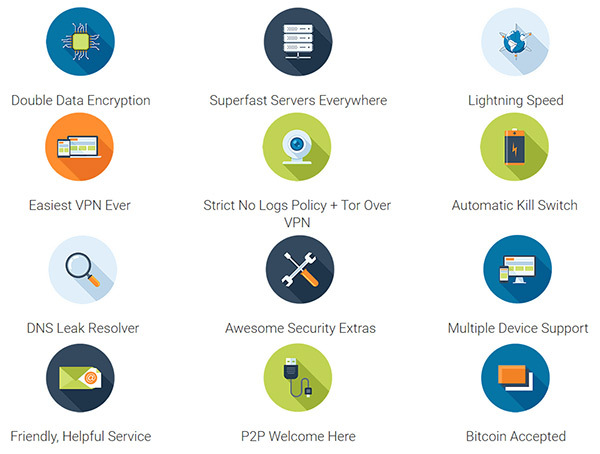 NordVPN was launched in 2012, with the aim of offering a convenient solution for everyone. Whether looking to protect privacy online, or enjoy a secure browsing experience, they want to be there for you. Even though the company has only been around for a short amount, NordVPN is becoming popular due to their no logging policy and efficient service. To find out what makes NordVPN a solid option for protecting your privacy, read on ahead. When it comes to privacy, NordVPN is a solid solution thanks to features such as Tor over VPN. With this option, your traffic is encrypted first, then it goes through one of NordVPN’s servers and sent to the Tor network. This is an easy to configure option that greatly increases the protection of your privacy. Since encrypted traffic is directed to a limited amount of Tor nodes before it reaches its destination. Keep in mind that when you use this option, the speed performance will be affected and you may have to reconnect a few times. Another great feature to add a higher level of privacy to your connection is Double VPN. This encrypts your data twice using AES-256-CBC. When using Double VPN, you connect to a NordVPN server located in Austria that encrypts your data. Once done, your data is sent to a server elsewhere, where it is encrypted again before reaching the internet. 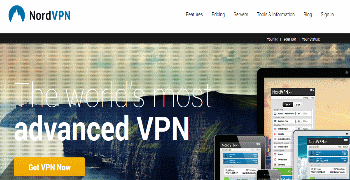 NordVPN offers a high level of protection thanks to its 256-bit AES encryption with OpenVPN. For L2TP, it counts with 256-bit encryption, while PPTP offers 128-bit encryption. Its service can be used with Windows (they have a dedicated, easy to use client for this OS), Linux and OSX. There’s also the option of mobile OS’ such as Android and iOS. With the Windows client, NordVPN also offers Kill switch, which ends the process in case the VPN connection drops out. They also protect your DNS queries against leaks. Thanks to the fact that the company is based in Panama, they are not subject to mandatory data retention laws, which allows them to offer a no logging policy. They claim that no logs whatsoever are kept. That means no logging of your browsing history, data transfers are not monitored or connection logs kept. In terms of speed, NordVPN offers consistent performance with most servers. They have a good selection of servers, so you will be able to switch between them and find one that’s satisfactory. We did find a few servers which were not even possible to connect to though. NordVPN also promises to increase the speed of the service through its Ultra Fast TV feature, which lets you use incredibly fast servers located in Canada, US and the UK. This is ideal for streaming video content, enjoying the best quality. With NordVPN you can enjoy unlimited bandwidth and data transfers in up to two devices. However, their prices are higher than providers that offer a faster and more versatile service. NordVPN prices have dropped to be very competitive though. Their price plans start at 11$ per month. Going up from there, if you buy a 6 month subscription that brings the monthly down to $7. Finally, a one year subscription brings it down to a lowly $5.75. One account also allows up to 6 simultaneous connections, which is really awesome for the cost. As previously mentioned, they have servers in Canada, United States and United Kingdom, that are particularly designed to offer a great streaming experience. Their network extends to other locations and includes servers in Austria, Netherlands (currently the only options for Double VPN), France, Italy, Spain, Germany, South Africa, Switzerland, Russia, Romania, Lithuania, Brazil, Singapore, Australia, Hong Kong, Poland, Sweden and much more. Since inception, their network continues to grow, and they are set to launch sever new servers in the future. NordVPN already covers close to 53 countries, and ensure great performance with almost 600 servers to carry the load. They also offer dedicated IP addresses for customers that require it. They are only available in UK and the United Sates and have an additional cost, but well worth the cost. You can contact NordVPN’s customer service team via email to which they guarantee a response within 12 hours. If it’s an emergency, they also have a 24/7 live chat for customers that require immediate support. Their website is easy to navigate, clear and it offers a good amount of information, including a detailed knowledge base. Their FAQ section addresses is also well fleshed out. For security conscious users they offer a good alternative and the fact that they accept Bitcoins adds to its appeal.